Control your home comfort with the Alexa-enabled RolliCool COOL100H Portable Air Conditioner. The COOL100H is a versatile AC unit that you can control from anywhere in your home with Amazon Alexa. Never leave the comfort of your couch or bed. Instead, pair this portable air conditioner with Alexa and give voice commands for cooling your living room or warming your bedroom on chilly nights. Now you don’t have to come home to a boiler room and wait for cool comfort to settle in. Thanks to a 24-hour timer, you can schedule when your RolliCool turns on and off throughout the day. Use its remote or control panel to schedule air conditioning before coming home. Set up fan mode for afternoon naps. For added convenience, the included casters and window kit provide easy mobility throughout your house, so switching from room to room is a breeze — just roll your cool with you! Even better, control your COOL100H portable ac unit from anywhere in the world using your smartphone. Download the iOS/Android-compatible RolliCool app to set up heating and cooling schedules, adjust fan directions, and change fan speeds. If you’re leaving any pets at home, use the app to activate the AC’s cooling mode and keep your pets comfortable during those sweltering summer days! 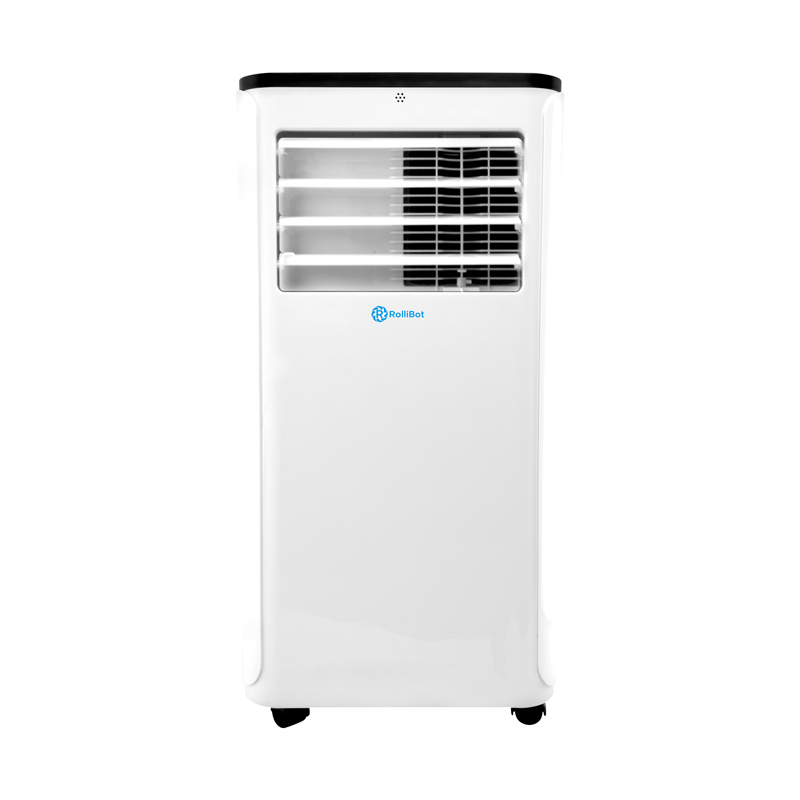 Discover new ways to beat the heat with the RolliCool COOL100H portable AC unit. To complete your smart home setup, pair your COOL100H with Amazon Alexa to control your home’s climate with quick and easy voice commands. 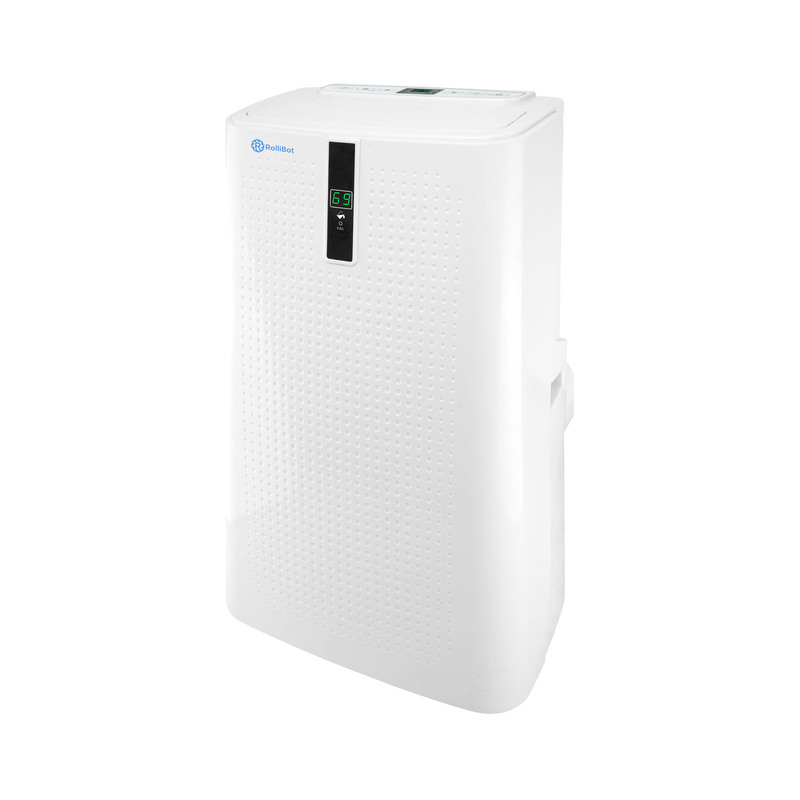 The COOL100H can dehumidify up to 24 liters of moisture per day to keep your home feeling fresh and clean. When its reservoir is full, the unit powers off to empty its internal reservoir before resuming activity. 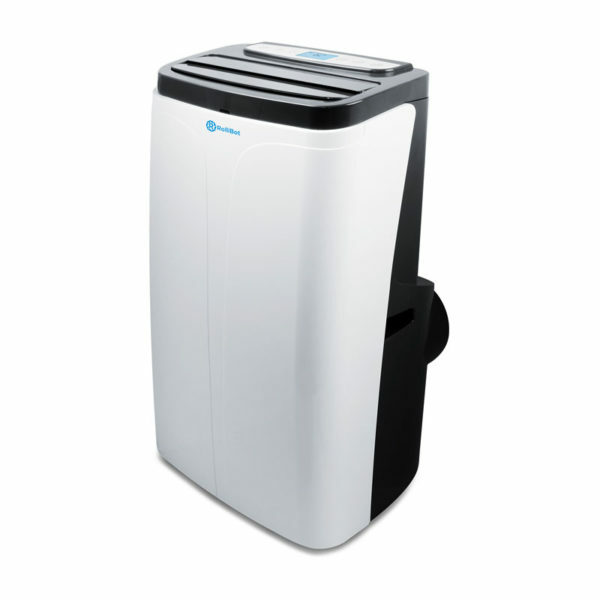 The portable AC unit operates at low 56 dB to help minimize distracting background noise. Improve your home’s air circulation by switching through three different fan speeds. Control the COOL100H through its built-in display or navigate through features with the included remote. Download the RolliCool app to control your air cooler from anywhere with Wi-Fi connection. With the app, you can remotely set up heating and cooling schedules, adjust fan directions, and much more. The RolliCool 100H stands tall and sturdy to withstand accidental falls. Its included casters allow you to roll your Cool effortlessly into any room, without the need for heavy lifting. Three preinstalled filters help remove contaminants and odor from your home. Instead of disposable replacements, you can clean and wash your filters, pop them back in, and keep your home fresh and odor-free. Set a schedule for your RolliCool to turn on or off throughout the day by accessing its 24 hour timer by the remote, control panel, or mobile app. The RolliCool 100H portable air conditioner with heater includes a remote control, power cord, drain hose, universal window kit, and all the parts you need for a breezy setup.